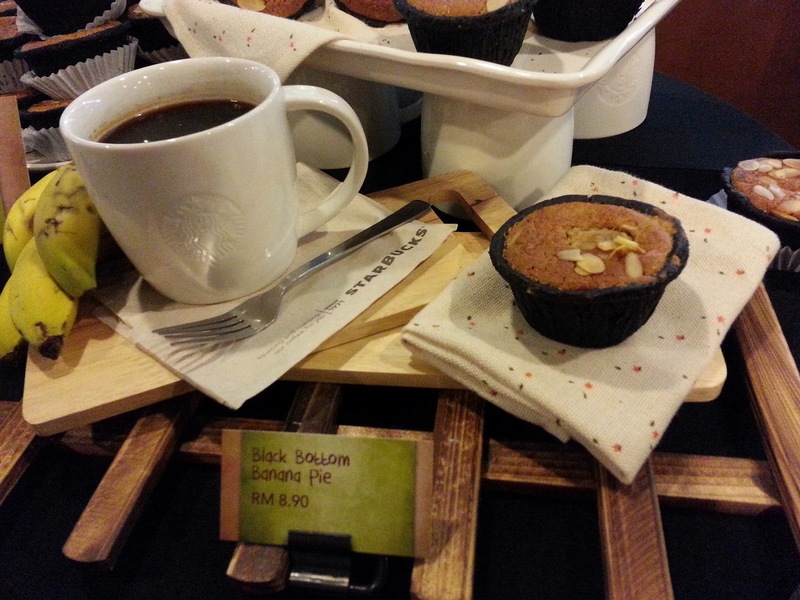 Starbucks is going to launch a new food products which are made freshly by bananas from Banana Plantation located at Kampung Lubok Jaya, a rural village which near to Kuala Selangor. Giving back to the society: While making new products, Starbucks wants to make this collaboration a meaningful one. 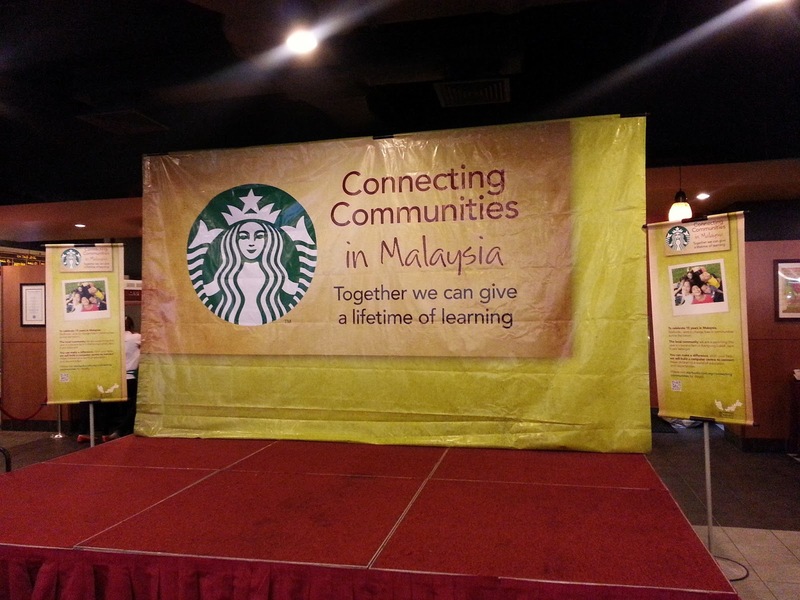 Starbucks decided to set up a Computer Centre in Kampung Lubok Jaya. 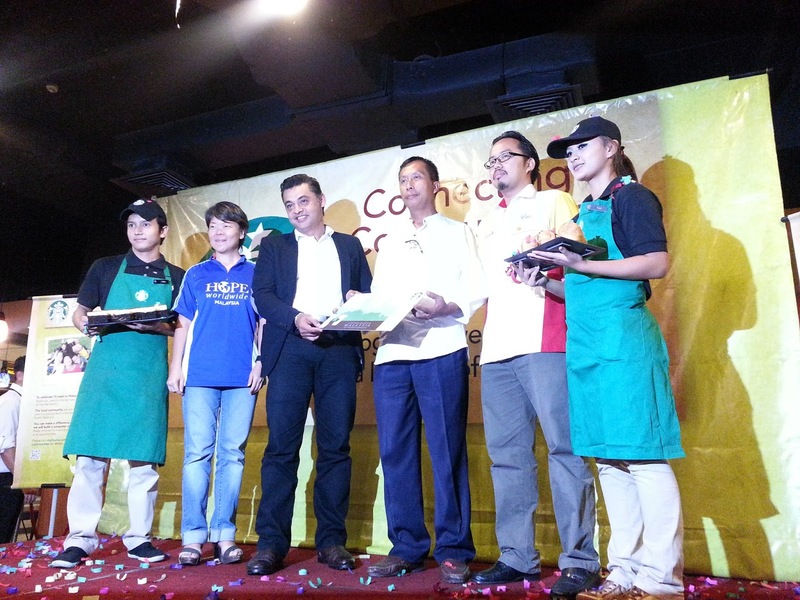 Part of the profit earned from the newly launched products will be donate back to the development of Kampung Lubok Jaya. HOPE worldwide Malaysia gladly lending our helping hands to support and participate Starbucks' noble cause, to work together with Representatives of Kampung Lubok Jaya, in setting up the Computer Centre. This is going to be an exciting program! Hence, all you need to do is to drop by any of the Starbucks' outlets, and purchase the brand new products made by bananas, and you are contributing to this good cause. While sipping your coffee and having your banana snacks, another kids in the rural village has a chance to learn and access to multimedia facilities. 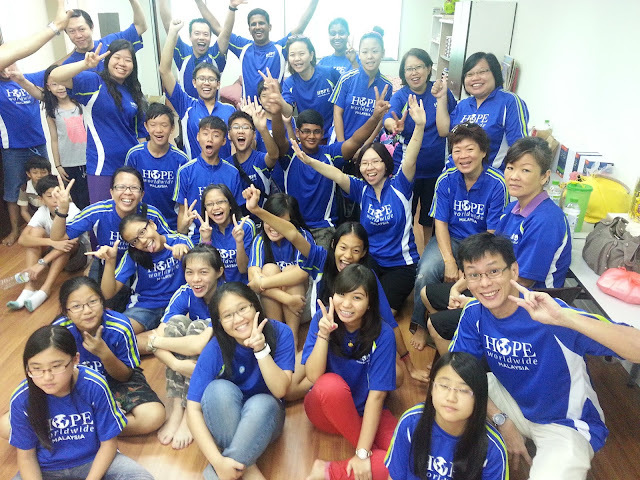 Thanks to the group of Youths who were here last Saturday, volunteering in English Reading Program. Thanks for the prior arrangement on games and prizes to encourage the kids. You guys did a great job in reaching out to the kids. I believe the kids were inspired by your love and passion. Keep up the spirit! 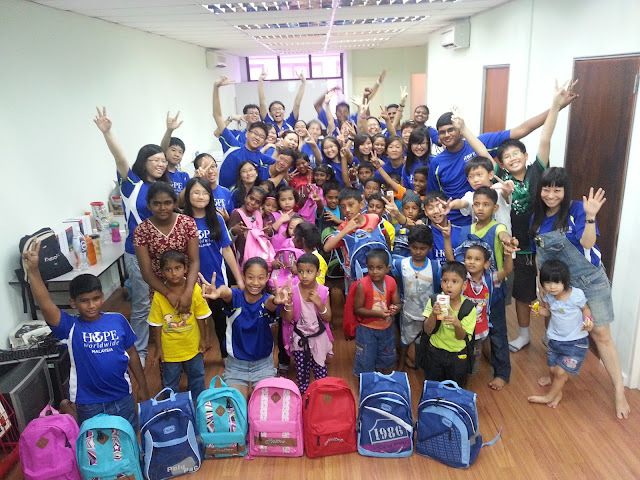 We want to specially extend our appreciation to Mr. Hazwan & Ms. Lyana for your kind contribution of 30 bags, schooling materials and snacks for the underprivileged kids and the bags were distributed to the kids by the Youth volunteers during the end of the Reading Program. 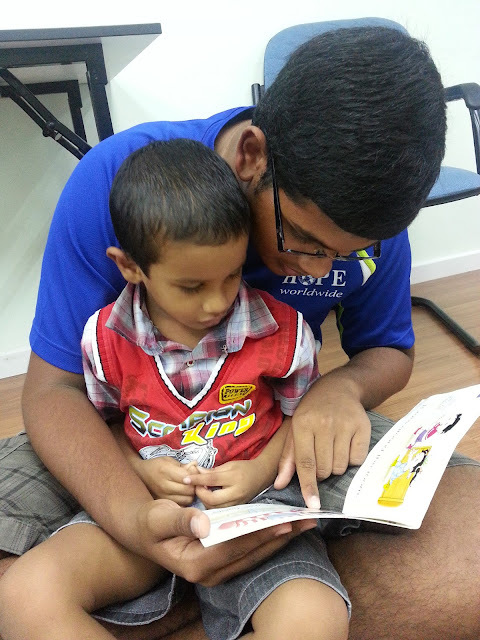 For more event pictures, please check them out on our FB Page by clicking on this link: Youth Volunteers in English Reading Program. Don't forget to click 'LIKE' & 'SHARE'!